C64 Forever is the revolutionary C64 emulator, preservation and support package brought to you by Cloanto, Commodore/Amiga developers since the 1980s. C64 Forever includes numerous games, demoscene productions, article reprints and other items of historical interest. No additional downloads are required to run the emulation software on your PC. 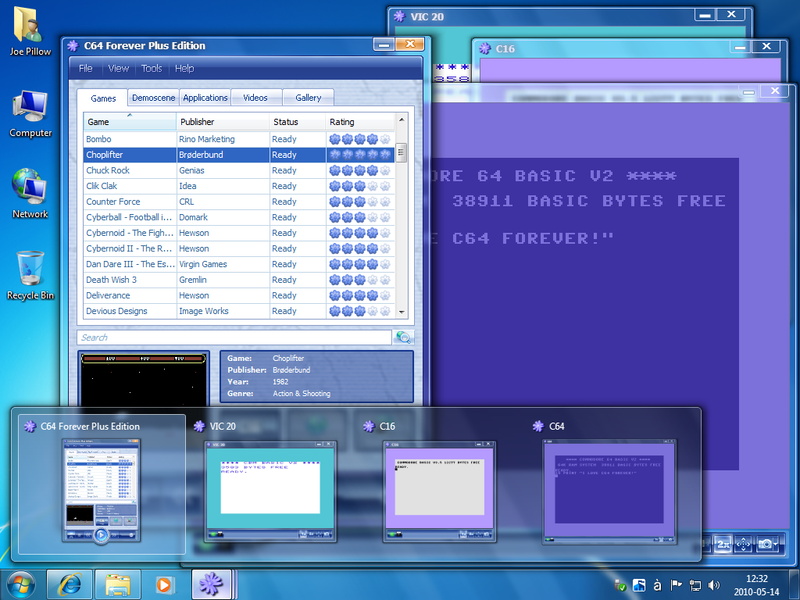 Thousands of C64 games and demos, available from legal download sites, can be run in C64 Forever. ...... In recent years the C64 has enjoyed a spectacular revival manifesting itself once again as a retrocomputing platform. The (free) Express Edition displays an advertising banner in the playback window, whereas the Plus Edition has no advertising at all. The Express Edition can be upgraded (registered) at any time to the Plus Edition level, which features exclusive additional features: disk change commit/undo, saved states, RP9 Manager to import, export and rescan content, support for multiple simultaneous playback windows, full-screen mode and skins. Qweas is providing links to C64 Forever 2012 Plus as a courtesy, and makes no representations regarding C64 Forever or any other applications or any information related thereto. Any questions, complaints or claims regarding this application C64 Forever 2012 Plus must be directed to the appropriate software vendor. You may click the publisher link of C64 Forever on the top of this page to get more details about the vendor.